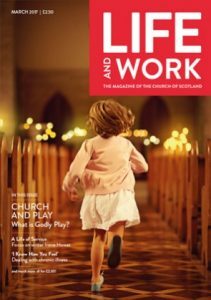 We’re pleased to announce that Godly Play Scotland has been featured in the March issue of Life and Work, the Magazine of the Church of Scotland. Please do try and pick up a copy to find out more about our work. It’s not the first time we’ve been featured in this esteemed publication. Back in October 2016 they featured an article about our conference at the College of the Holy Spirit on Cumbrae, Milport. Accessing our website tells us you are happy to receive cookies. However you can change your cookie settings at any time. Find out more.